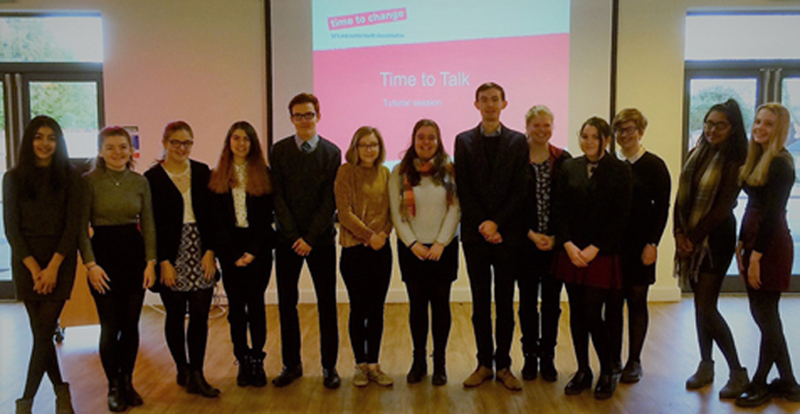 This week is ‘Eating Disorders Awareness Week’ across the country, so it’s time to get the facts right about mental illnesses, with the help of the students from King Edward VI Grammar School (KEVIGS), who have been helping raise awareness of mental health issues in students as young as eleven. It’s been over a month since ‘Time-to-Talk’ day, which took place on the 1st February this year. But mental health issues aren’t just something that happens for a day. And while the message behind the ‘Time-to-Talk’ day is encouraging people to speak out about mental health, no matter the location, KEVIGS is helping to show pupils that anytime is the time to talk. Shocked by the fact that 1 in 4 people in the UK will suffer from a mental illness this year, the Sixth Form students rose to the occasion and turned ‘Time-to-Talk’ day into a week of talking with Years 7 to 13 about how to get help if you are suffering, and how to support someone with a mental health disorder. With the statistic coming close to the 1 in 3 people suffering from cancer, it is time to shed the light on the topic that so many people are afraid to discuss. Half of mental health disorders begin before the age of fourteen, the most common being anxiety and depression, especially in young people. Anyone you pass in the street, or work with could be suffering from a mental health disorder, because most of the time there is no physical trait to see. And it is because mental health goes unspoken about, that so many people fear getting the help they need. During the assemblies, students were given coping strategies for dealing with stress and advised on where to get help and how to look out for friends, which is something every young person should be aware of. But it isn’t just young people who suffer. Anyone can be affected by a mental health issue, so if you’re concerned about someone else or your own mental well-being, support is out there. A few examples of companies that offer support is listed below, as well as telephone numbers for concerned parents’ or someone to reach out to.